Isobel Hickey’s husband, Richard, was intense, exciting and crazy, and she wants him back. The problem is she can’t have him: he died two years ago in circumstances too painful to remember. Now, she must keep going for teenage children, Ben and Melissa, and her dog, Brodie. But how can she when nothing makes sense anymore? When she’s haunted by ghostly footprints in the snow, and a sinister stranger who knows too much about her? When a mute old woman speaks from her death-bed, she plunges Isobel into terrifying danger, a nightmare chain of frightening events where Richard’s secrets lurk and threaten Isobel’s sanity. Now she has to fight to save her children from an insidious evil she doesn’t understand. She must uncover who, or what, is haunting her. And any mistake could cost her more than her life. 5.0 out of 5 stars Freaked me out so much, but I loved it!!! You can read from the blurb that this is a book designed to absolutely freak the frig out of you and yes, it did just that! This is the story of Isobel, who is sleep walking through life following the death of her husband, Richard in the way only way a mum can, pushing through, marching forward, while having dreams that are disturbing, vivid and frequent. From the off of this book I was unsettled, but in that brilliant, “what the frig is going on” and “what’s going to happen,” way. Her dreams were the type that you had to try to figure out, was the person in them a friend or foe, were the remembrances or even related to whatever had happened to her husband? The settings were perfection, the writing exquisite, with passages that made me read twice, all the while nodding along. The everyday in this book was done so well that I had that recurring thought I have with most thrillers/ horrors, which is, ‘God I wish she’d write a rom com!’ because while you’re enjoying it you know that soon things are going to get out of hand, and it’s not like a movie where you can hide and listen, you have to experience every-single-moment. And my gosh when things got out of hand, did they! An old dying lady suddenly speaking words that are relevant to Isobel, a doctor caller that Isobel can’t see, a cuckoo clock spinning out of control (nb NOT a spoiler as you have to experience every single one to get the full impact!) I loved that she had someone on her side to confide in, and that they in turn wanted to figure out the entity, as too often when stacking up the odds authors try to isolate their characters too, and it never grabs me as much. There were times I forgot that there were paranormal, although those times became more and more fleeting, and that was when I was smacked with something that gave me a shock. At one stage I had to switch books at night because there was the image of someone in my head and I couldn’t sleep! So so creepy, gripping and all in between in the run up to an ending that was brave and excellent. This book took me a few days to read on account of the creep out factor but my gosh it was worth it. 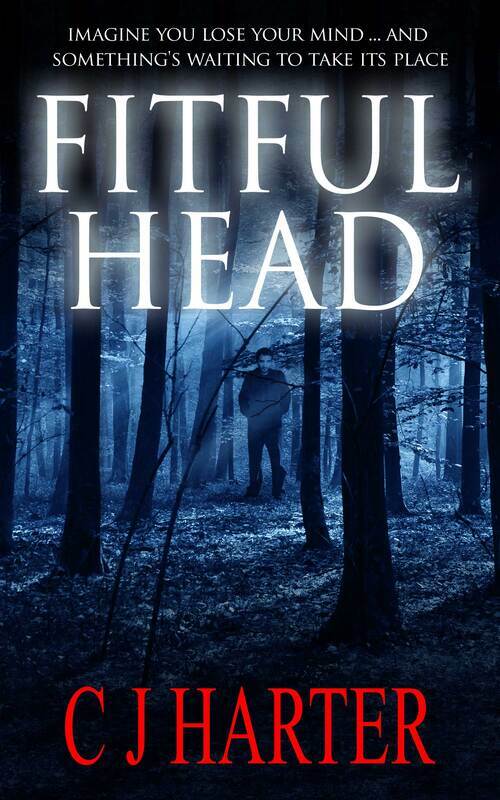 Fitful Head is a beautifully written book, almost poetic in its description of scenery and the emotions of loss. In fact, it hovers somewhere on the interesting border between literary fiction and genre fiction: somewhat literary in style, more genre in content. The main characters are well-drawn and believable and the story moves along at a decent pace. The subtler scenes are described in an elegant English style reminiscent of the great M R James; the more intense encounters are more reminiscent of the best American supernatural fiction (Peter Straub, for example). One writer it reminds me a bit of is John Saul. While his books are more formulaic and often deal with disinherited elites, both writers make suggestive use of eerie coastal settings to achieve a forboding atmosphere full of unnatural malice. 5.0 out of 5 stars Chilling – a modern English ghost story that made me believe in ghosts again! This book pulls you into the emotional fog of newly-widowed Isobel with eerie English landscapes that mirror her grief. From the start, there’s a quiet dread, a sense that something – or someone - is just around the shadowy corner. Is Isobel’s husband haunting her, as he often joked he would, or is it something more sinister? There’s an early scene where Isobel discovers boot prints in the snow along those she left the day before and they “simply ended… As if whoever made them had evaporated mid-stride.” Unnerving and had me jumping at sudden noises for days! As Isobel’s battle with her grief intensifies, her family fears what may happen next. Harter takes the reader along a foggy path where grief manifests into something truly terrifying. I love the comparison of Isobel’s grief-stricken mind with the location of Fitful Head, an area in Scotland set on the brink of jagged ocean cliffs, a precarious border where one could slip from life to death. I highly recommend this book if you love English ghost stories – any ghost stories at all, really. Readers will love this family, and will hold their breath with every knock at the door. While completely modern in style, Harter crafts suspense through authentic characters and sinister landscapes reminiscent of the best classics.